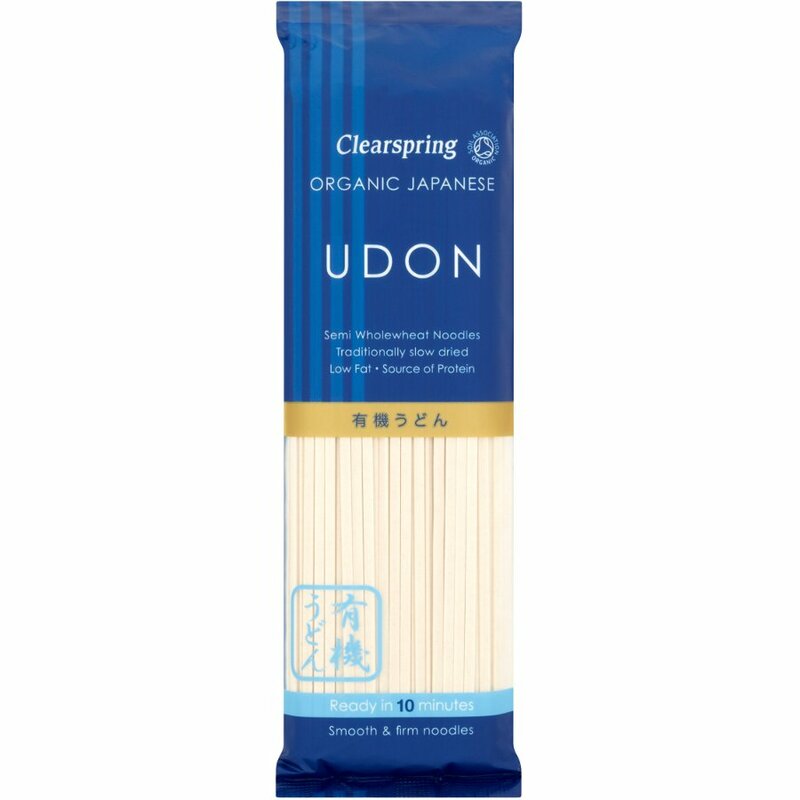 Clearspring Organic Udon Noodles are the ideal addition to a warming broth, light stir fry, or tasty summer salad. Made with semi-wholewheat flour to an egg-free recipe, using traditional Japanese methods and slowly matured to enhance their flavour, these noodles are low in fat and a great source of protein. Delicous, I could sit with a whole bowl with sesame oil and tamari all to my greedy self. In fact I serve it to the family with a veggie stir fry but one day I will sneak off with the lot!